The 'Om Al-Fahem' is a premium almond. This variety is traditionally grown in the region as it thrives on the arid and rocky terrain and produces a large, sweet almond. 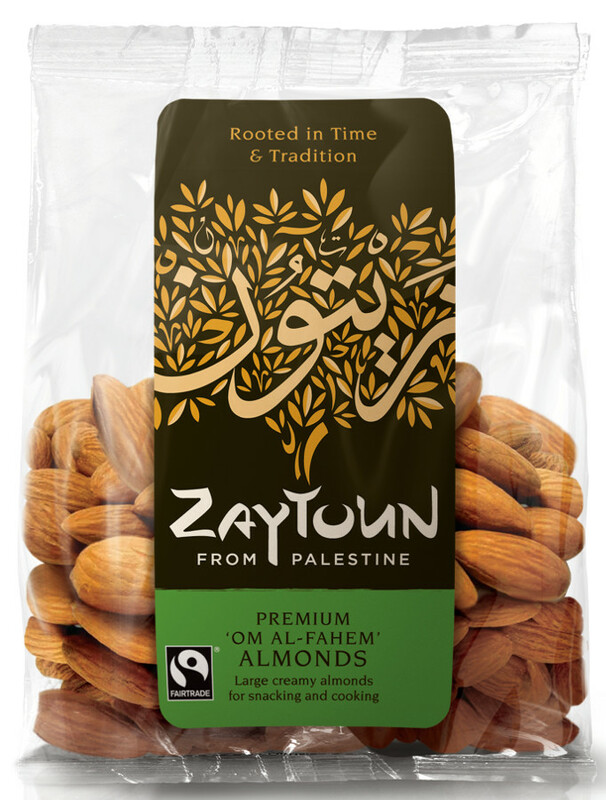 Zaytoun almonds are sourced from a farmers’ cooperative in the Jenin area of the West Bank. The almond harvest begins in August when the almonds become dry. After the picking process the farmers remove the external crust of the almonds and then dry them under the sun to enable them to reach the required humidity level before shelling can begin. The shelling is done by women's cooperatives who shell for approximately one month getting paid by the kilo. Villagers in Zabuba have seen a sharp drop in income over the years as they continue to lose land to Israeli settlements. A village falling very close to the green line, Zabuba has lost over 20,000 dunums of land to nearby settlements and now the wall. For many villagers who previously travelled to Israel for work, this has become almost impossible due to the building of the wall, therefore they are now almost entirely reliant on income from their remaining agricultural land. The Zaytoun Palestinian Almonds 150g product ethics are indicated below. To learn more about these product ethics and to see related products, follow the links below. Lovely flavour will purchase again . 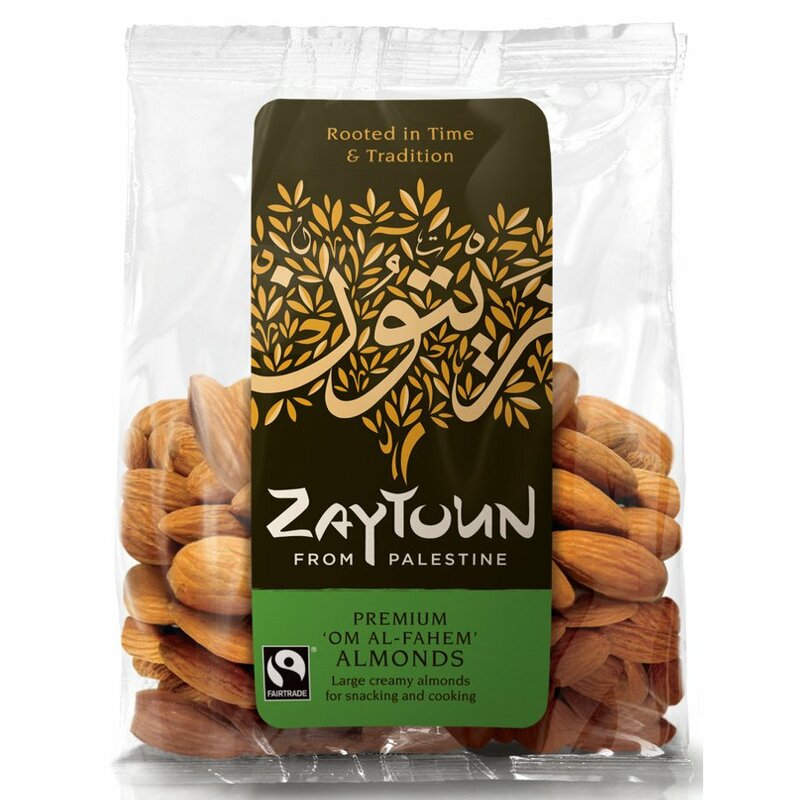 There are currently no questions to display about Zaytoun Palestinian Almonds 150g.